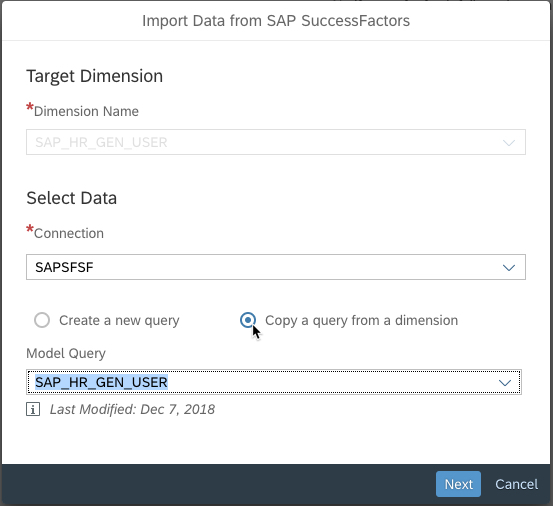 In this blogpost you will learn how you can import your own SAP SuccessFactors data into the pre-configured Human Resources content and which are the things you need to consider. In this blogpost, we assume that you have already installed the content successfully. If that is not the case, please read this post or the documentation first. 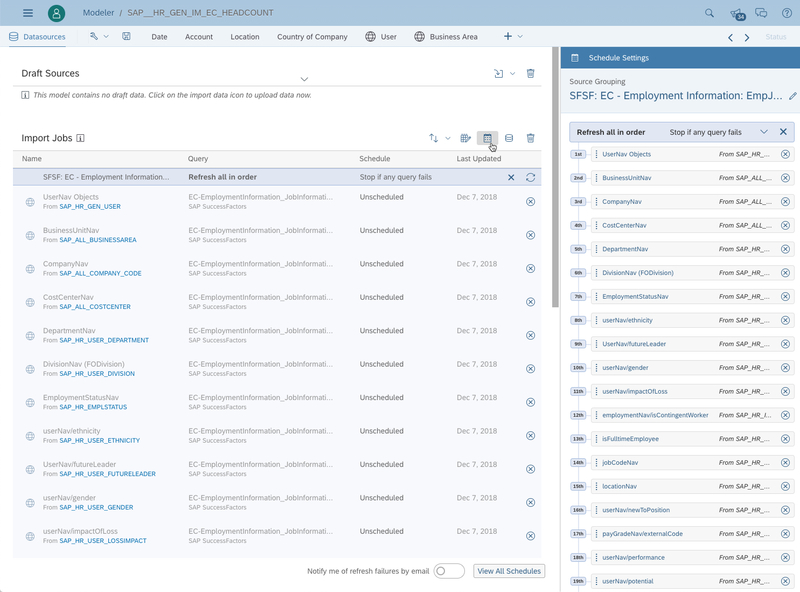 Recently a new version of the Human Resources content based on SAP SuccessFactors has been released. In this blog post, it is explained how to fill the content with your own data. Please be aware of the consequences of modified content. Please refer to chapter 3.2 of the SAP Analytics Cloud content documentation to avoid accidental overwriting and data loss. Import the content package SAP Human Resources from the Content Library. You will notice that the connection SAPSFSF will also be imported. Once the import has finished, go to Connection and update the connection with your own credentials. 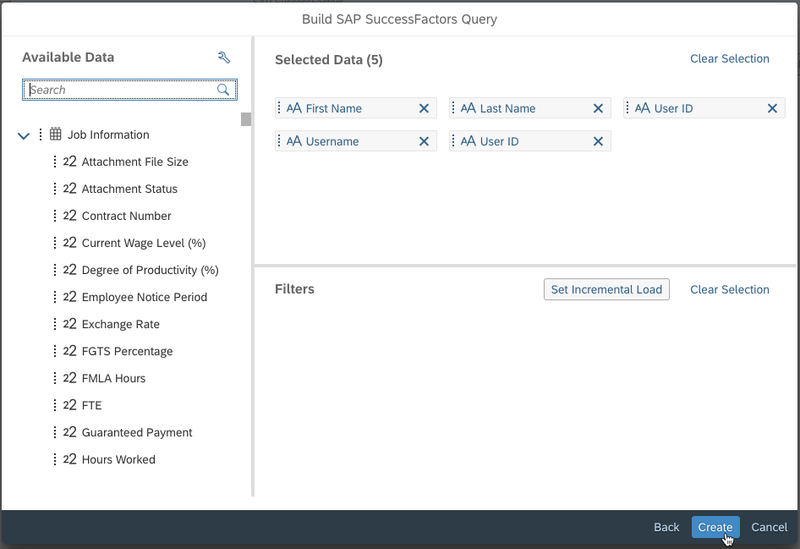 Find more info here on how to set-up you SAP SuccessFactors connection. SAP SuccessFactors does not provide any latitude longitude information. If you, nevertheless, would like to show your data on a map, this can be done by updating those values separately. 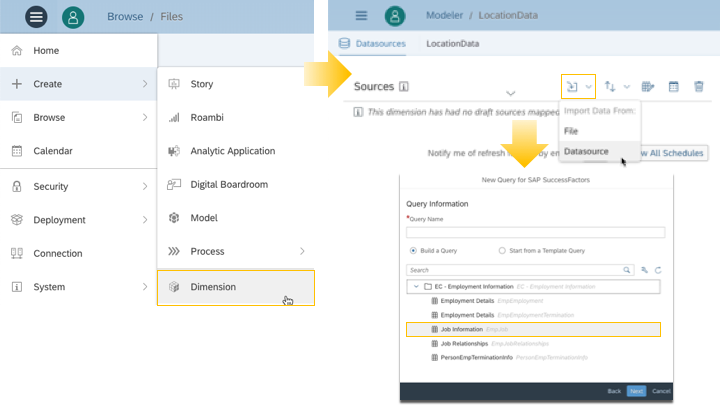 Follow the steps described in the previous blog post to learn how to update those values.If you are not sure which location values you have, you can create a dimension based on the same query once and retrieve the list of master data objects needed. Check the chapter “SAP Human Resources: (SAP__HR_GEN_IM_EC_HEADCOUNT)” in the content PDF documentation to learn which exact fields were used for location. It is helpful to turn on Description and ID. The location information can be found under the locationNav. The documentation provides a list of public dimensions which are used in the model. Please be aware that public dimensions are shared between multiple models and that modifying those will affect all other models using those dimensions. Those dimensions need to be populated with the adequate master data first. The content comes with pre-defined import jobs which can be used here. If there are errors while updating the master data, manual mapping is needed. 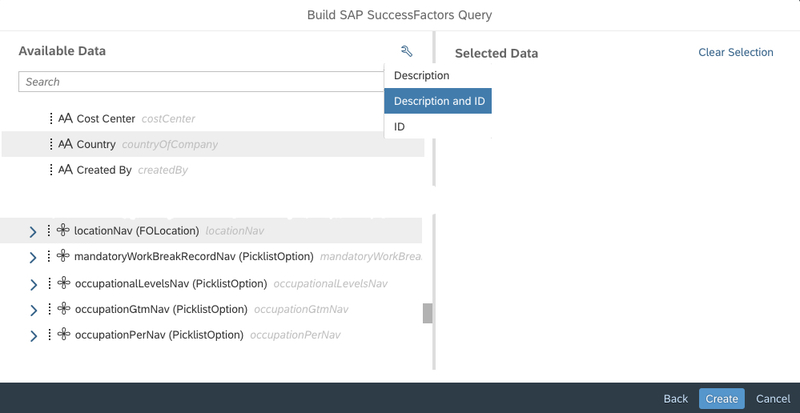 Click Import data from Data Source > SAP SuccessFactors and copy the existing query. The third step is to run the import job attached to the transactional model. In case there are errors, a manual mapping is needed. Similar to the public dimensions, it is possible to copy the query from the model. Once you have successfully set up the different jobs, it is recommended to set dependencies from the model to the dimensions. This will ensure that the master data in the dimensions is updated first, before the transactional data is imported. It is also recommended to evaluate Schedule Settings and Import Settings. Let us a comment below in case you have any questions or suggestions how content could be improved. 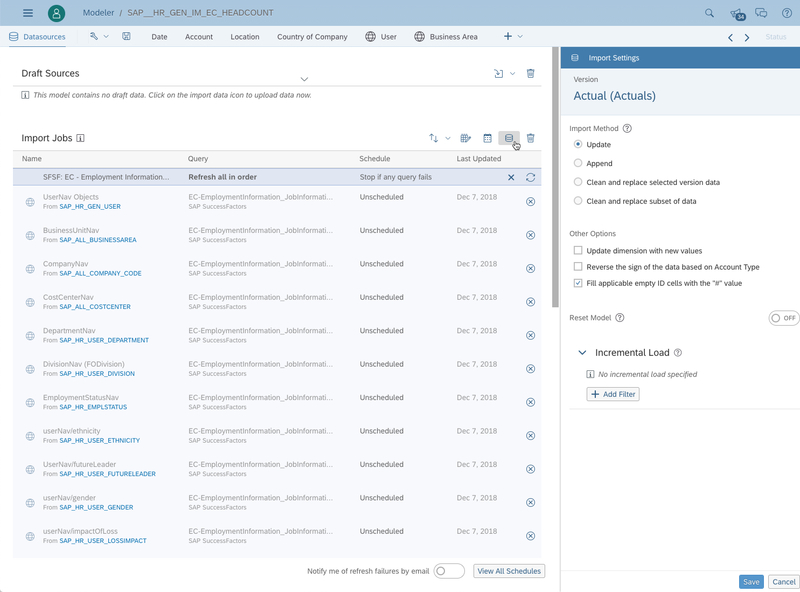 Want to see more blogs about SAP Analytics Cloud content? Go to our main blog or check out the tag SAP Analytics Cloud content on SCN. Want to stay up-to-date? Paste this into your RSS feed-reader and subscribe.